I’ve been wondering lately how neatly the sympathetic witch corresponds to the rise of the sympathetic vampire in twentieth-century culture? 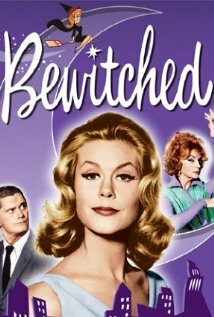 I was named after one very memorable good witch, Samantha Stephens below, played by Elizabeth Montgomery (my parents were huge fans). I think her dates are 1964-72. The show was written by Claudio Carvalho, Rio de Janeiro, Brazil. This is of course the same era that gave us I Dream of Jeanie (1965-70) A show in which an American astronaut finds his life vastly complicated when he stumbles on a bottle containing a female genie!! I’d love to know your thoughts on when the figure of the sympathetic witch first emerged in the twentieth century and why? This entry was posted in Critical thoughts, Fun stuff and tagged witches. Bookmark the permalink.